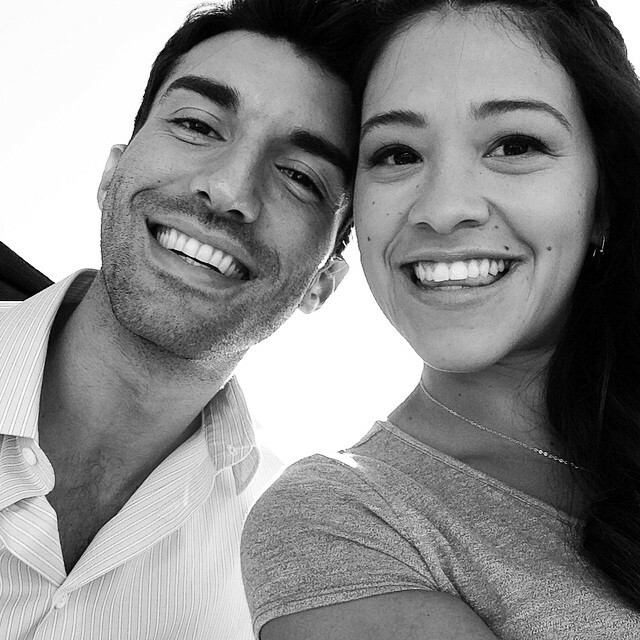 Gina & Justin. . Wallpaper and background images in the Jane, the Virgin club tagged: jane the virgin on the set behind the scenes gina rodriguez jane villanueva justin baldoni rafael solano season 1 telenovelas. This Jane, the Virgin photo might contain پورٹریٹ, آرچر, closeup, تصویر, and ہیڈشوٹ.